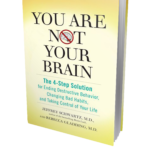 Books by Jeffrey Schwartz - Jon Lieff, M.D. Jeffrey Schwartz has written many very good books on the mind and the brain. As a specialist, and innovator in the field of neuroscience and psychiatry as it relates to obsessive compulsive disorder, he has developed a new therapeutic approach that takes advantage of the power of the mind to tap the neuroplasticity of the brain. His books also encompass a broad understanding of important allied areas of philosophy, physics, and the practice of meditation. He traces the difficult years of research that led to the discovery and eventual acceptance of neuroplasticity in the brain. The fact of neuroplasticity is perhaps the most important development in neuroscience and was slowly and painfully proven with great pushback from the research establishment. 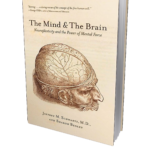 He shows how intention, free will, and the power of mind can be harnessed for the good of patients.